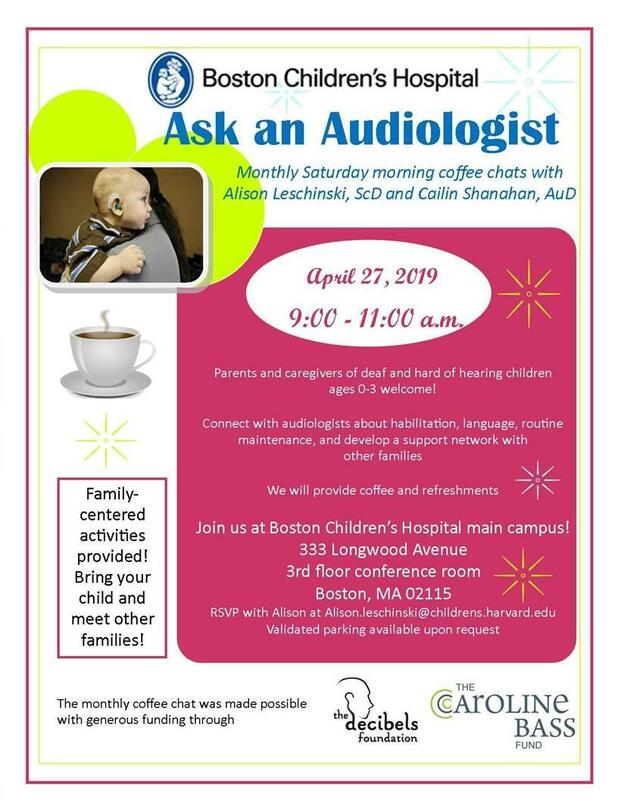 During the Saturday morning “coffee and chat,” Alison Leschinski, ScD and Cailin Shanahan, AuD will be available to connect with parents, caregivers and their child, and to help develop a network of support with other families of deaf and hard of hearing children ages 0-3 as they navigate the hearing loss journey. Please circle your calendar for April 27. Family-friendly activities will be provided so bring your child along! To RSVP or ask questions, contact Alison at alison.leschinski@childrens.harvard.edu.